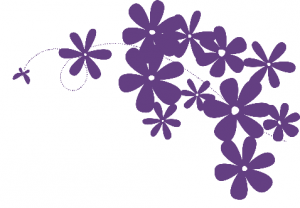 Nina is a fully qualified Reiki Master and is trained in a wide variety of specialist massage techniques. All available from our luxury log cabin located in Camberley, Surrey. Thai people believe that to touch is to heal. This foot massage is the ultimate treat for your poor, overworked feet. This uplifting and relaxing Thai Head, Neck and Shoulder Massage is a truly wonderful experience. This is a firm favourite of all the treatments Detoxity has to offer as the results are so remarkable! A genuine alternative to surgery. An intense and deep treatment that uses various techniques to penetrate the cells and stimulate toxin removal to reduce the appearance of cellulite. Massage is a wonderful gift that you can share with your baby. Nina can teach parents this beautiful art that has many benefits for baby. 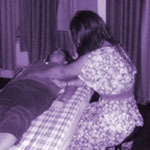 Reiki is a form of healing using universal life energy channelled through Nina, who is a Reiki Master. It is powerful, but very gentle and relaxing. Crystals have healing properties that project energy. Crystals will increase the energy of the Reiki treatment and enhance the results.